A healthy pregnancy is without physical or psychological pathology in the mother or fetus and results in the delivery of a healthy baby. Obesity is associated with many pregnancy complications. It’s more difficult for women to get pregnant when they are overweight, and if pregnancy does occur, the risk ofcomplications during pregnancy and problems for the baby after birth increase dramatically. Overweight is defined as being 10% to 15% heavier than recommended for a woman’s height, or having a body mass index (BMI) of 25 to 30. Obese was having a BMI of 30 or more. Weight gain in pregnancy averages 25-35 pounds, but will vary depending on the mother’s pre-pregnancy weight. A very thin woman who is below her optimum weight should gain 28-40 pounds, while an overweight or obese woman should gain 15 pounds-25 pounds. The most crucial factor is the pattern of weight gain during pregnancy. In one study, excess weight gain early in pregnancy was a strong predictor of how much weight the women retained after delivery. 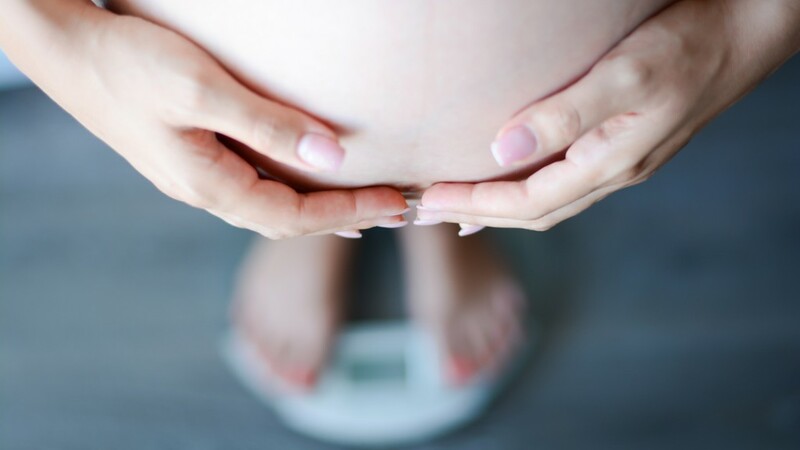 A steady but gradual weight gain is recommended during the first two trimesters with the bulk of the weight gained the last trimester, the period when the baby is adding weight and growing the fastest. Overweight or obese women are at increased risk of having complications during pregnancy such as gestational diabetes, preeclampsia (a disorder that occurs only during pregnancy and the postpartum period and affects both the mother and the unborn baby) or eclampsia (Preeclampsia is a hypertensive disorder of pregnancy associated with proteinuria and pathologic edema. If proteinuria and pathologic edema are complicated by seizures or coma, the condition is known as eclampsia. ), and hospitalization. “The risk of the mother being hospitalized during pregnancy goes up 4 times if she’s overweight. If her BMI is over 35, the risk goes up by 6 to 7 times. The risk of perinatal mortality also increases as maternal BMI increases. Most doctors — as well as their patients — are unaware of this connection even though the risks are well documented by research. Women who are obese during pregnancy are more likely to have gestational diabetes and problems with labor and delivery. Prenatal care is complicated, because measurements of uterine size and even ultrasound tests can be more difficult. This can make accurate prediction of your due date a bit of a problem. To achieve a small but steady weight gain, the overweight woman needs to focus on a nutrient-dense diet. Foods that are nutrient dense provide a high nutrient-to-calorie ratio. Examples include whole grains, beans and legumes, vegetables, fruits, low fat dairy products, and lean protein sources. Foods with low nutrient density contribute fat and/or sugar to the diet but few other nutrients. While exercise is an important component of a healthy pregnancy, it is vital that the overweight pregnant woman be evaluated by her physician or health provider before starting an exercise program. Since the extra weight puts more demands on the body, it’s especially important to warm-up, cool down and follow exerciseguidelines for pregnant women. Above all, a pregnant woman should listen to her own body. If there is discomfort, stop. 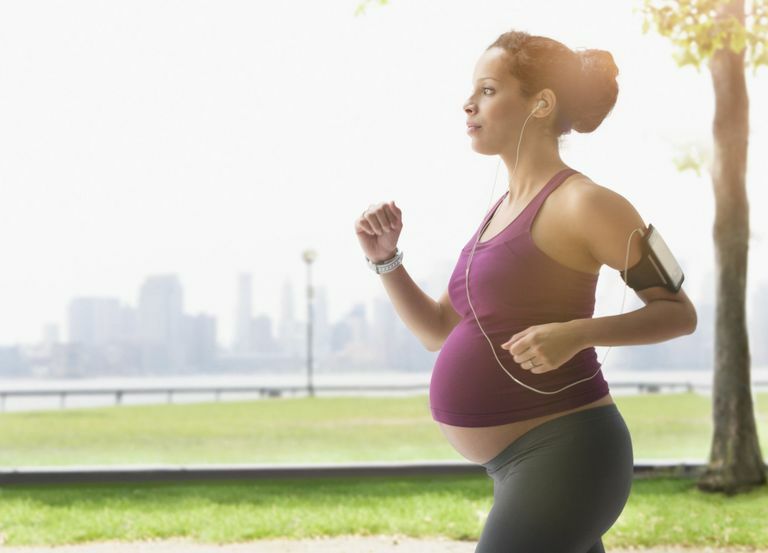 Low-intensity activities such as walking, swimming and low-impact exercise classes designed for the pregnant woman can contribute to better health for both mother and baby. 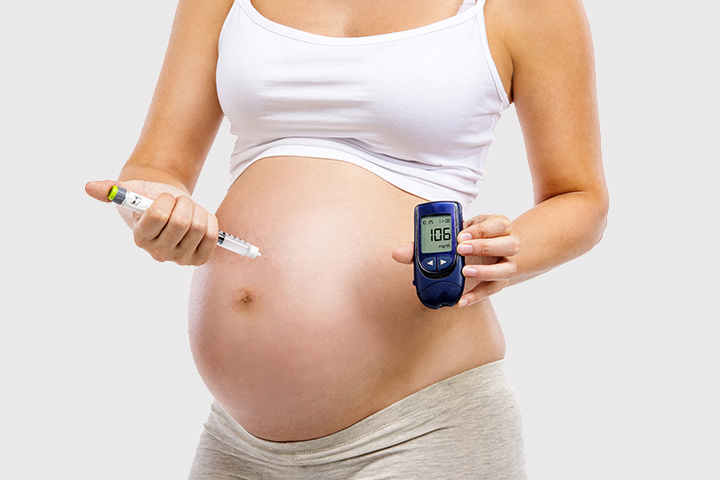 The risk of gestational diabetes is also reduced in the pregnant woman who follows a fitness routine. It is also important for women to avoid dehydration by drinking plenty of fluids while exercising and not to become overheated during physical activity. Activities such as contact sports and scuba diving should not be undertaken due to their potential effects on the infant. Besides, women can ensure a healthy pregnancy and baby, by being in shape before pregnancy . Weight loss is not recommended during pregnancy. 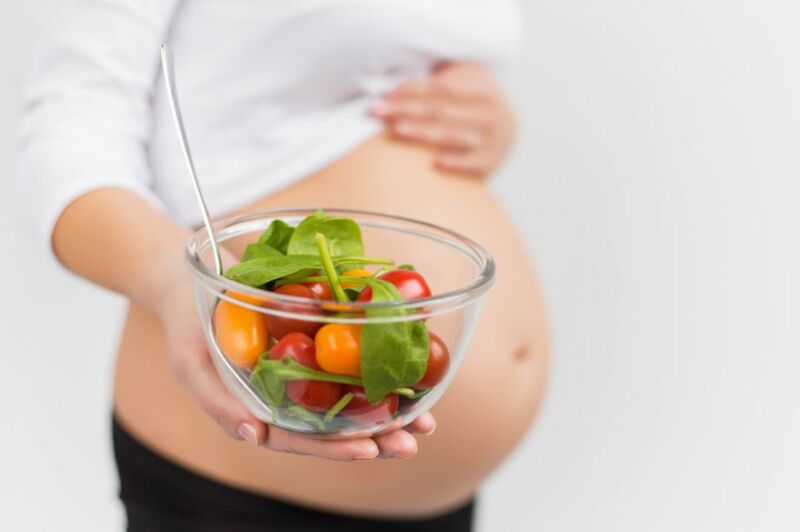 Calorie and Protein intake during pregnancy. A Complete Body Workout for Pregnant Women (Part I).